The latest statistics from Net Applications show that the Internet Explorer is steadily losing market share, with Firefox rising steadily and Google Chrome making a huge gain in April. At present, Internet Explorer accounts for 59.5% of the market share, whereas Firefox gaining on it at 24.5%.Google Chrome share is at 6.7% which might seem tiny at present, but it has made huge gains in comparison, rising sharply from 1.7% same time last year. With Google focusing on the promotion of its product through all its online services and claiming that its services work best with Chrome(which is actually true), we can expect a lot of Google users to move from other browsers to Google Chrome. As seen in the graph Internet Explorer would lose about 10% of market share on a year on year basis by June. Firefox, on the other hand, has chipped away IE market share and risen by about 2% since last year. The winner although is Google Chrome. It has gained 5% market share in the last year alone. People are becoming aware of online security and are looking for products that would provide the best protection against online threats. Although IE has made huge improvements in last few years, they have had a poor record in security related matters, which makes users try out new products. Why IE is losing Market Share? 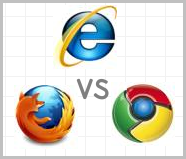 Unlike Firefox and Chrome, Internet Explorer is used in different versions around the Internet. IE8 the latest version is the most used whereas IE 6 and IE 7 come close behind. Among Internet Explore versions IE 8 has 24.66% share, IE 6 at 17.58% and IE 7 at 12.50%. 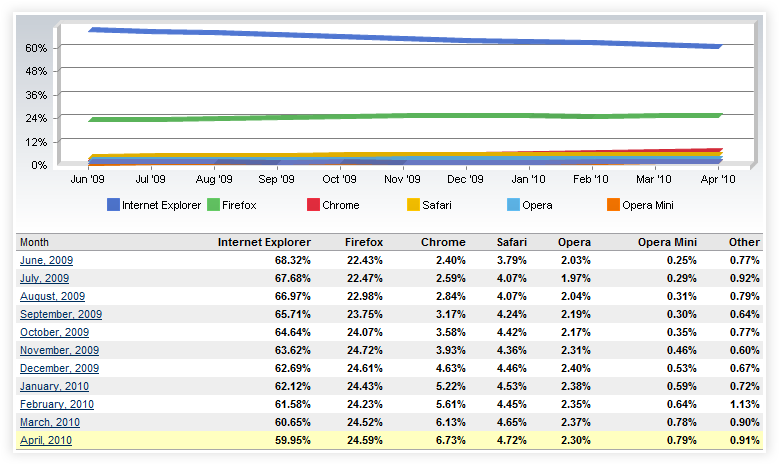 One of the major reason of the decline of Internet Explorer share is the sharp reduction in use of IE 6. Its share has fallen from 30.22% to 17.58% in just one year. 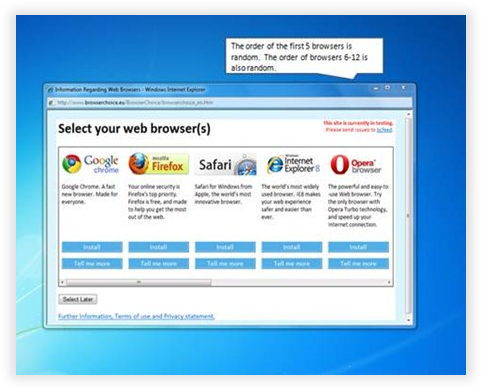 Another factor that might be affecting the use of alternative browsers is the newly introduced Browser Choice Screen in all the new computers across Europe. This screen gives users the choice of 12 browsers. Opera has seen a jump in its share after this screen was introduced. Internet Explorer got its act together with the release of IE version 8. The browser, although wasn’t perfect has shown remarkable improvements over its predecessors. The IE Rivals will see a long and slow rise in the coming months, with IE still being the dominant one. With the introduction of Internet Explorer 9, we can expect Microsoft to get back in the groove. IE9 promises to support HTML5, the next-generation standard for coding web pages, which aims to reduce the need for software plug-ins, such as Flash. Easily Ads from Hotmail, Gmail and Yahoo mail in Firefox and Google Chrome.